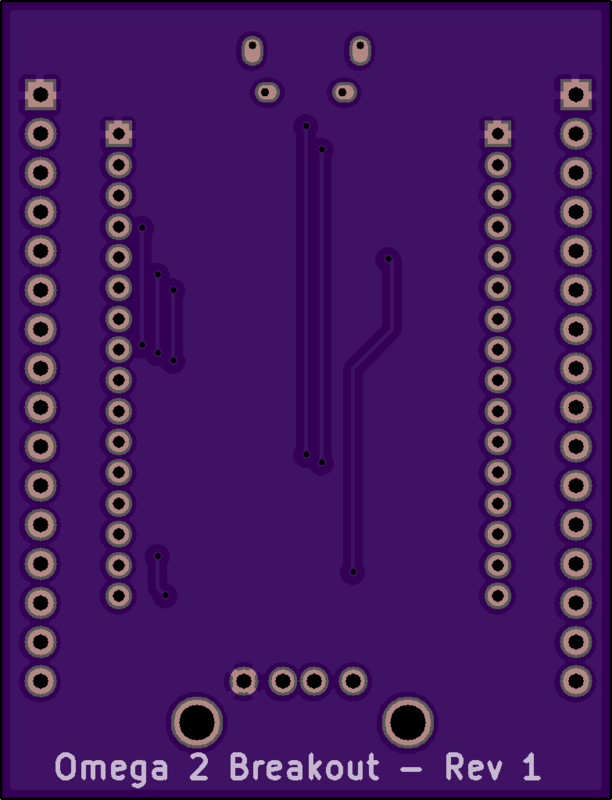 2 layer board of 1.57 x 2.05 inches (39.8 x 52.0 mm). Uploaded: March 12th, 2017 02:09. 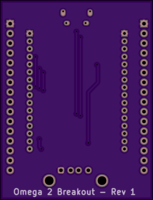 The goal for this dock is to allow for ‘simple’ bread boarding of the onion omega 2 boards. 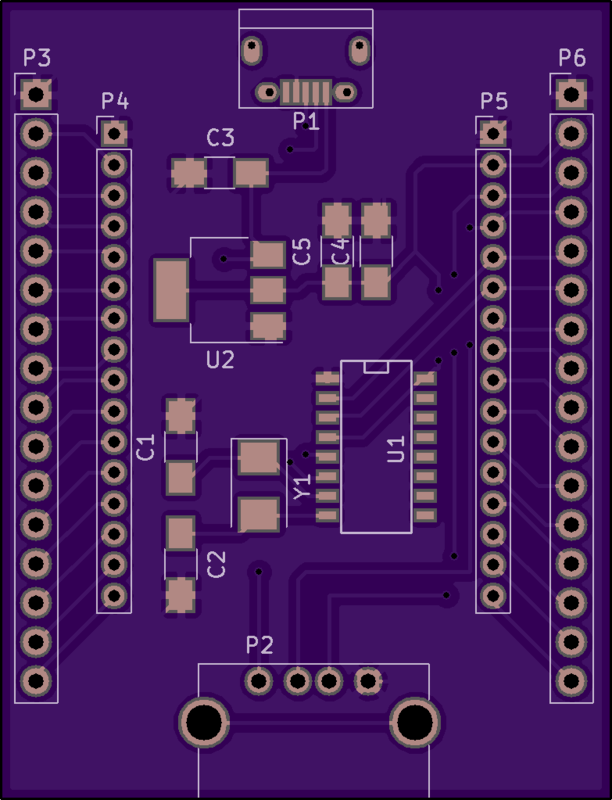 I have included a 5v to 3.3v voltage regulator for power and a CH340G usb to serial IC for communications. 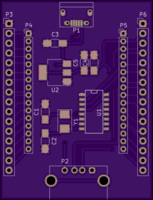 Communications and power are provided through the micro USB connector and the regular USB connector is to provide access to the onion’s USB line.